InDesign CC | Level 2 is designed take your skills to a more advanced level. Class will cover more complicated topics in the program, along with how InDesign works with other programs in the Creative Suite. In class we will work on concepts such as master pages, advanced typography, style sheets, placing graphics from Photoshop and Illustrator, text wrap, clipping paths, tables, anchored objects, drawing, coloring and modifying objects. 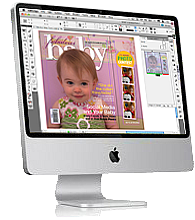 Our Adobe InDesign Level 2 is an Intermediate course for InDesign. This class is for users who want to learn more advanced features of Adobe InDesign. This course is technically advanced and geared to those with expertise in the functions and formatting in InDesign.